People are reborn in order to spread out their wings. Nature is not as stupid as it looks. Especially not if one only looks at it with only half an eye to already decide that it is stupid. So, a lot of ‘illness’ is a healthy response to an unhealthy environment. In other words: that response is intended! If one fights against what is intended, one provokes that it will show itself even more intensely. A vicious circle is being created. The result may be a really unwanted situation. As with burnout. 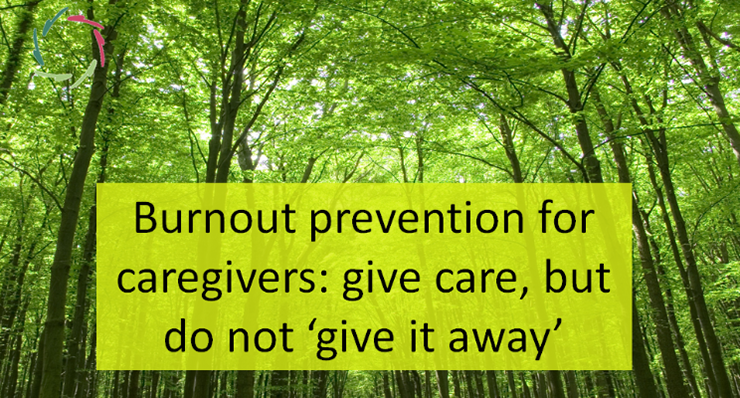 If one looks at the symptoms that, taken together, are called ‘burnout’, perhaps things become clearer. This is about a retreat to a more (especially emotionally) protected environment. The patient has less energy to come out. One may interpret this as a question of ‘nature’ (as in ‘natura sanat’) to stay inside. Probably one has got past oneself in the world and now it is time for reflection. For example, someone can be very motivated towards something but the motivation does not originate from himself. Maybe the parents projected their own ideal upon their growing child, rather than allowing the child to find itself. That jar returns to the well until the water leeches out. Then it’s time for a different jar, another environment or maybe another way to deal with the environment. If one simply fights against the perculation, one has to fight ever harder, until all energy is gone. The negative ‘burn-out’ which then arises is the result of the fighting. The ‘burn-out’ that it began with, was a healthy, meaningful and friendly asked question. People are frogs of habit. If one puts a frog in water and slowly heats that water, the frog may sometimes remain in the water until he dies by boiling. People often stick to their habits, even if it is clear that those habits are not good, if they make them ‘die by boiling’… or burn up. 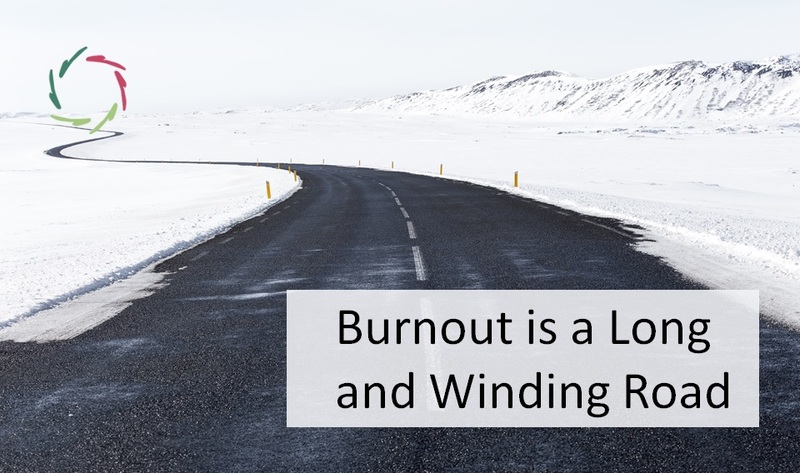 Even more: someone who had a burnout but who is getting more energy again, is often keen to quickly return to the same situation that made him ‘burn out’. This commitment to go right back often leads to a circle that ends badly. Maybe nature is less unwise than indeed the one who again and again does not listen. The purpose of burn-out is a kind of pupation. The direction is inward for a while, not to fix oneself but to get ready for something new. Not an end but a transformation. Finding new life goals. The caterpillar has eaten well but it is done eating leaves. When it leaves its cocoon, it is not as a caterpillar but as a being with wings. In order to be able to do so, the caterpillar should not run up a long fight against the proces of pupation. On the contrary. It should ‘surrender’. Maybe this is inconsistent with its nature as glutton and ‘never enough’. Maybe the unfamiliarity of the new world frightens it. Maybe it is just sticking to old habits. Nevertheless it should let go. Even more. It’s best that the caterpillar makes an effort to let go. 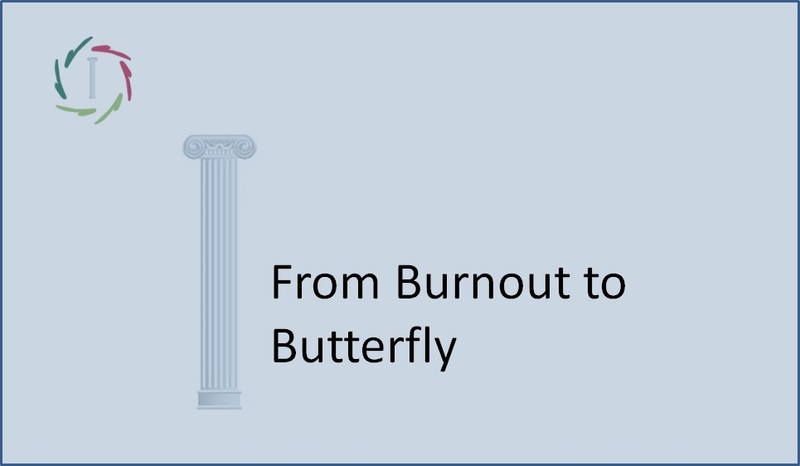 The physician with a caterpillar/pop/butterfly-insight can help. He can point out the temporality and the ultimate aim of the intermediate stage. He can point to responsibility and he can get it out of ‘guilt’. He can show his confidence in the process and give examples from his own practice or case studies. He can, perhaps most important of all, just be there. Empathy. Understanding. No pity in the sense of ‘poor thing’, but human warmth and support. Finally, if the butterfly begins to show itself, he may offer great encouragement by, together, enjoying the prospect and then also the view upon all the beautiful things that are awaiting the butterfly. 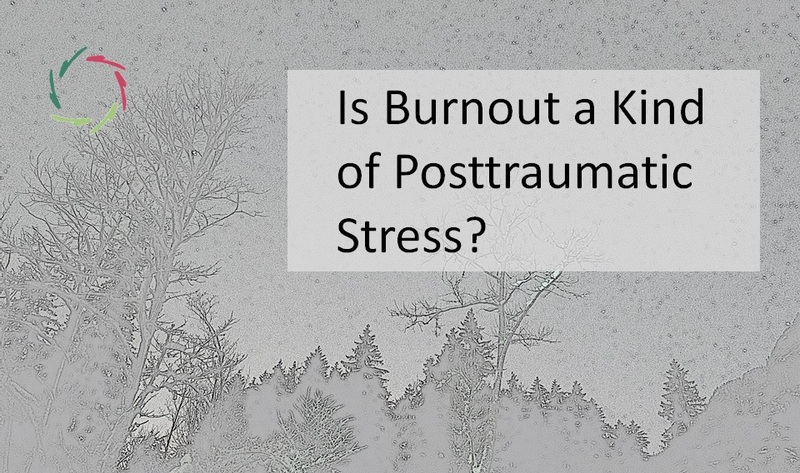 Is Burnout a Kind of Posttraumatic Stress?